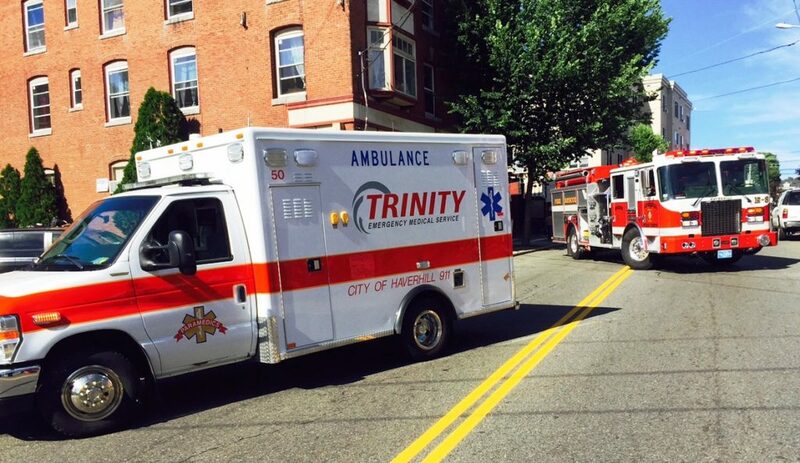 Trinity EMS, Inc. (“Trinity”) is committed to respecting your privacy and confidentiality. Trinity is required by law to maintain the privacy of your health care information and to provide you with this Notice of Privacy Practices (“Notice”), which outlines our legal duties and privacy practices regarding your protected health information (“PHI”). You may request a paper copy of this Notice by calling our office. You can also view the Notice on our web site: https://trinityems.com/privacy. If after reviewing this information you have any questions, please contact our HIPAA Privacy Officer (contact information below). Trinity follows the terms of this Notice as are currently in effect. However, Trinity’s privacy practices and terms of this Notice may change at any time. In that event, a copy of a revised Notice will be available upon request and posted on our website. Protected Health Information (PHI) is any information about your past, present or future health care, or payment for this care. We use and disclose PHI for many different reasons. For some of these uses or disclosures, we need your written authorization. Below we describe the different categories of our uses and disclosures and give you some examples of each category. For Treatment: We may use or disclose PHI pertaining to your medical condition and treatment provided by you to Trinity and other health care personnel. By way of example, this includes our communications with other health care personnel to whom we transfer your care and treatment, radio or telephone communications with hospitals or our dispatch center, as well as providing a hospital with a copy of the written record we create in the course of providing you with treatment and transport. For Payment: We may use or disclose PHI for payment purposes. By way of example, this includes any activities we must undertake in order to obtain reimbursements for the services we provide to you, including submitting bills to insurance companies (either directly or through a third party billing company) and collecting outstanding account balances. For Healthcare Operations: We may use and disclose PHI in the course of operating Trinity. By way of example, this includes performing quality assurance activities, obtaining legal and financial services, conducting business planning and processing grievances and complaints. Trinity may also legally use and disclose your PHI to others for certain purposes that are not treatment, payment or health care operations, without your written authorization, such as when required by law, for public health activities, for health oversight activities, relating to decedents, for research purposes, to avoid harm, or specific government functions, and for worker’s compensation purposes. All other uses and disclosures of your PHI not otherwise or previously disclosed in the Notice will require your written authorization. If you choose to sign an authorization to disclose your PHI, you can later revoke it in writing to prevent any future uses and disclosures of the PHI, except to the extent that Trinity has already acted upon your previously provided consent. A. Copy & Inspect Your Records. You have a right to access, copy or inspect your records subject to federal and state laws, simply by submitting a written request (fees may apply). We will respond in a timely manner. You can also access your PHI electronically upon request, if available. Under certain circumstances, we may deny your request. If we do so, we will send you a written notice describing the basis of our denial. B. Amendments to Your PHI. You have the right to request that corrections and changes be made to your PHI provided that you can provide accurate records detailing the reason for the changes. We may deny your request under certain circumstances. If we deny your request, we will send you a written notice of denial within 60 days of receiving your request. This Notice will describe the reason for our denial and your right to submit a written statement disagreeing with the denial. You have the right to request that we restrict the use and disclosure of your PHI. We are not required to agree to your request for restrictions, but any restrictions agreed to by us will be binding. To the extent that we do not agree to any restrictions on our use or disclosure of your PHI, we will put the agreement in writing and make every reasonable effort abide by it except in emergency situations. You also have the right to restrict disclosures of your PHI to a health plan when you pay for services out -of pocket. except requests for electronic disclosures relating to treatment, payment or operations which are limited to three years. The accounting will not include (i) non -electronic disclosures relating to treatment, payment or operations; (ii) disclosures if you gave your written authorization to share the information; (iii) disclosures shared with individuals involved in your care; (iv) disclosure to you about your health condition; (v) disclosures made for national security or intelligence purposes or to correctional institutions or law enforcement officials who have custody of you; or (vi) disclosures made before April 14, 2003. We will respond to your request within 60 days of receiving it. If you think we may have violated your privacy rights, or you disagree with a decision we made about access to your PHI, you may file a complaint with our HIPAA Privacy Officer as listed below. We will not take retaliatory action against you. You may also file a written complaint with the Secretary of the United States Department of Health and Human Services through the Office of Civil Rights at (617)565-1340. If you have any questions about this Notice or a complaint about our privacy practices, please contact the HIPAA Privacy Officer at (978) 441-9191. Effective date of this notice: April 14, 2003, updated March 2012.